If you are in the market for a new toilet bowl for your two-piece unit, then PlumbersStock is sure to have the perfect deal for you. 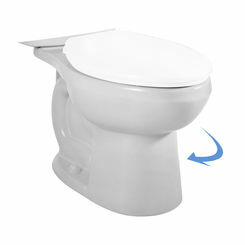 We offer the best deals on bathroom supply so that you can update your restroom on a tight budget. 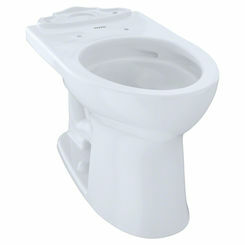 We have all kinds of discount toilets and parts, and that includes replacement toilet bowls. 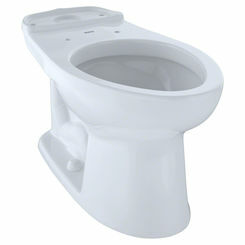 The great thing about two-piece toilets, as opposed to one-piece toilets, is that if one part cracks, you don't have to replace the whole thing. 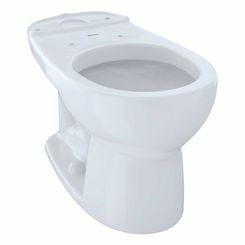 If you have a perfectly good toilet tank, you only have to find a solution for the toilet bowl. 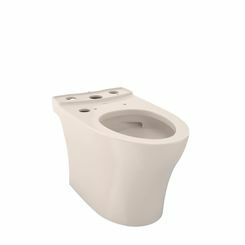 When purchasing a new toilet bowl a couple of factors need to be considered such as the size of the rough-in as well as the mounting assembly to attach the bowl to the floor. 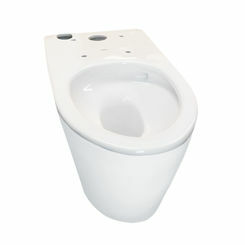 Standard rough-in size for toilet bowl installation is 12 inches. Another specification that will need to be considered is the measurement of the bolts attaching the toilet tank to the bowl. The first specification to determine is the shape of the bowl, which is typically round or elongated. 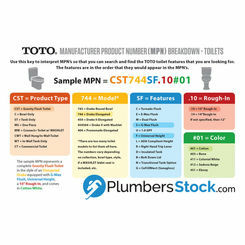 The standard for most toilets is 3.5 gpm, 1.6 gpm or 1.28 gpm. 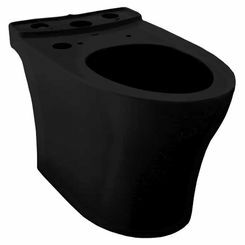 If you are replacing toilet bowls with 3.5 gpm flushing power, the existing tank will have the power to flush 3.5 gpm as well. 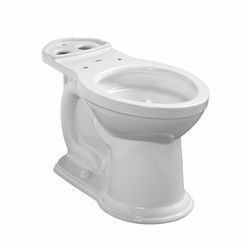 If you mistakenly purchase a new bowl that has the capacity to flush 1.28 gpm you could encounter difficulty with the configuration. 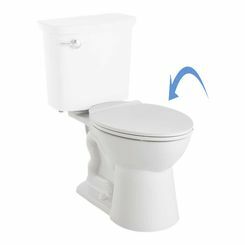 This may result in various issues, including the toilet may never flush or may flush twice in order to over compensate for lack of power in either piece. 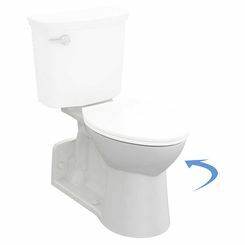 If you are a do-it-yourselfer and plan to purchase from among the best toilet bowls at PlumbersStock for installation, set aside a Saturday for your project and follow these steps! 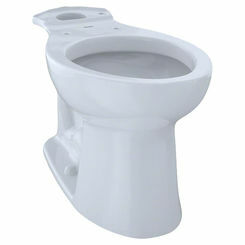 While holding the valve lever, flush the toilet and drain as much water from the tank as possible. Wipe up any excess water with a towel or sponge. The tank retaining nuts will need to be removed from the underside of the tank flange of the toilet bowl; this can be done using an adjustable wrench. Remove the two tank bolts and round rubber seals from the tank. 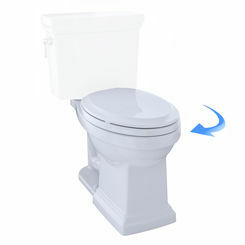 Remove the tank from the toilet bowl by slightly wiggling the tank then lift it straight up and away from the bowl. Gently set the tank aside to avoid any damage. 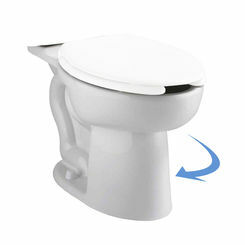 The toilet bowl’s mounting bolt caps will need to be removed in order to lift the bowl from the floor. 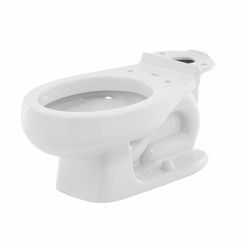 After removing the mounting bolts, gently wiggle the toilet from side to side in order for the bowl to separate from the wax seal. Discard the damaged tank as well as the old mounting nuts. In order to prevent sewer gas from escaping the pipe and entering the house, place a rag down inside the soil pipe while you scrape the old wax sealant from the soil pipe flange. The scraping process is best done using a putty knife. 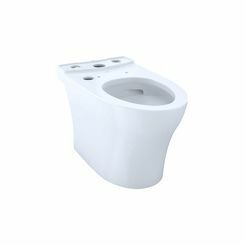 Place the new toilet bowl upside down on newspaper in order to install the new wax ring and bolts around the flange of the horn. The rubber insert should be facing upward. 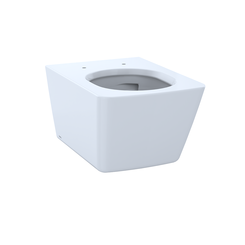 Install the new toilet bowl mounting bolts; evenly place the bolts across from each other in the soil pipe. Gently place the bowl on the mounting bolts and soil pipe. 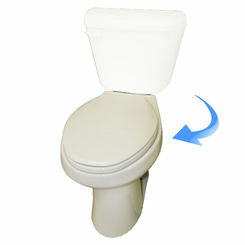 Apply even pressure to the toilet tank in order to seal the wax ring to the soil pipe. A good tip for accomplishing this is to simply sit on the toilet.  Attach all of the new pieces which include rubber washers, drain pipe seal, and nuts & bolts. 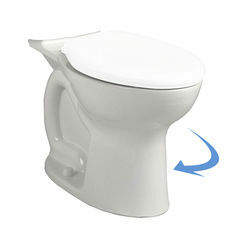 Reposition the old tank on top of the toilet bowl and secure with hardware. Turn the water supply to the tank back on. Flush the toilet to double check your work for potential leaks! If you have any questions, please don't hesitate to contact us. Try the chat feature.